The company said that it will pay $38 billion in taxes on cash it has been keeping overseas. It also pledged to create 20,000 jobs and invest $30 billion in U.S. facilities over the next five years. 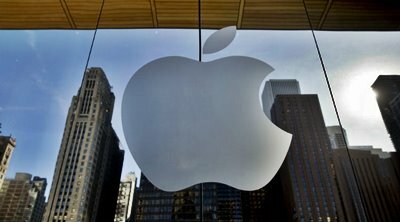 Apple also informed employees worldwide on 18th of this month, that they would receive a $2,500 stock bonus in response to the new U.S. tax code, according to a source familiar with the matter. Bloomberg, which reported the news earlier, said the bonus would be available to employees below a certain senior level. Apple employs about 123,000 full-time workers around the world. About 84,000 of those employees are based in the United States. The $30 billion investment in the company's facilities across the United States will include a new campus in a yet-to-be-disclosed location. At least $10 billion of the new investment will go toward building new data centres -- massive computer warehouses that store information to support services like Apple's Siri, iMessage and Apple Music, the company said. Apple already has data centres in seven states. In August, the company announced plans to open a data centre in Des Moines, Iowa, that would cost $1.3 billion and create 550 construction and operations jobs.